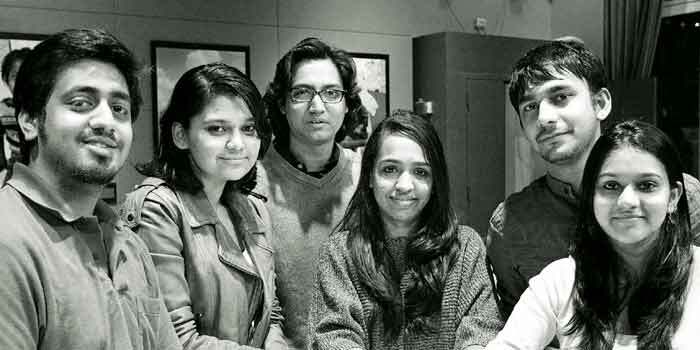 The FIFTY Forty Five is a website created by six post graduate Indian-origin students at Columbia University Graduate School of Journalism with the May 2014 Lok Sabha elections in mind. A rich mix of diversity and political opinions, the group comprising Anand Katakam, Indrani Basu, Devjyot Ghoshal, Aparna Alluri, Iva Dixit and Rishi Iyengar put together thefivefortyfive.com. a�?Our aim is to create a discourse that is different from mainstream media,a�? explains Katakam, a city boy, who believes that the social media and the opportunity for dialogue it offers is what has made the two month-old website so popular. a�?We focus on data driven opinion. We interview statistics and see where it takes us. Ita��s not the only thing we do, but ita��s at the heart of the website,a�? says Katakam about the predominantly red, black and white website filled with engaging charts, graphs and corresponding opinion pieces. Put together primarily by the team, they encourage people from across the spectrum to freely contribute, thus enabling a well-rounded discussion on topics that range from The Obamafication of Indian Politics and The Foreign Press on The Indian Elections, to Section 377 and The Gandhi vs. Kejriwal vs. Modi Election Rally Tracker a�� one of the firsts of its kind. a�?When you comb through statistics, you may find an angle that no one else has covered. For example, we mapped out the MPs with criminal records. No one in India had done something like that, at least to our knowledge,a�? Katakam tells us before he goes on to describe the website as a conscious effort to a�?advance the story from a very different perspectivea��. While they believe that a�?this election will be one of the most open races in the history of democracya��, their aim extends beyond May. a�?We really want to move it forward and create a larger project around it,a�? Katakam signs off. A sign that there is hope yet for untampered discussions and informed opinion in the country. And as always, wea��re pinning our hopes on the youth!